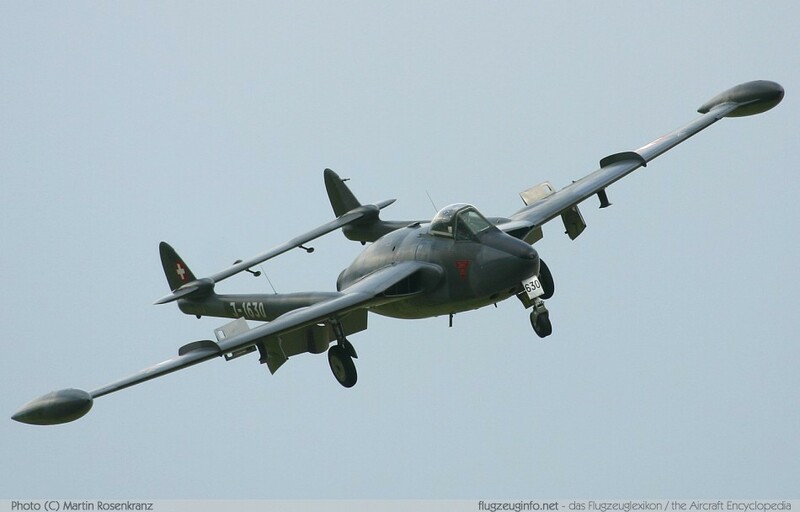 The de Havilland D.H.112 Venom is a single-engine single- or two-seat fighter bomber aircraft produced by the British manufacturer de Havilland Aircraft Company. The Sea Venom and Aquilon are naval carrier-based variants operated by the Royal Navy Fleet Air Arm, the Australian Navy and the Franch Navy. 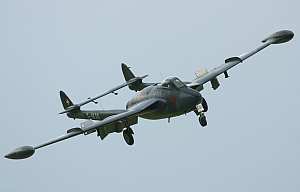 The D.H.112 Venom is a development of the de Havilland D.H.100 Vampire. The Venom was license-built in Switzerland for the Swiss Air Force. The Aquilon is a variant of the Sea Venom operated by the French Navy, license-built by SNCASE.